Another week and yet more unpredictable weather! We’re a few weeks away from summer and finally the woods are looking like they have come completely out of hibernation! This week, there was so much going on around the small area of woodland that I decided to focus on one species in particular that has been changing and developing on a week by week basis. Common in woodland ecotones and hedgerows, this small tree of the rose family grows quickly and sends out many side shoots and branches which make a sturdy, impenetrable barrier to livestock. Unlike Blackthorn which sends out suckers, hawthorn does not have a large root system and is therefore not greedy with the soil’s nutrients. This encourages many forms of plant life to grow in its vicinity. The hawthorn trees growing in the woodland are generally found around the borders of the wood within the woodland-meadow ecotone. Last week, the leaves were fully out and enjoying the late spring sunshine. This week, there is a new development on the larger hawthorn trees in the hedgerows surrounding the woodland. Between May and June, the hermaphrodite flowers are produced in groups of 5-25 together. These can be seen developing now on the trees bordering the woodland. Like everything else this year, they are a little late developing! Hawthorn blossoms along with its newly opened leaves and in a few weeks the flowers will have five snow white petals set around slender stamens with bright pink heads. Hawthorn blossoms contain both male and female reproductive parts and are fertilized by insects moving between them. In the summer, the seeds will grow into small green berries which will turn red by autumn. We will watch the hawthorn trees in the wood over the coming months and see how they develop and change over time. Join us next week for a walk in the woods as we approach the summer seasons. Welcome to another week in the woods. I’m sure I don’t need to tell anyone that the weather so far this spring is very unpredictable! So far I have been very lucky with my weekly woodland walks and have managed to do all of them in dry weather, but I think that probably has more to do with careful timing than anything else! The woodland is made up mainly of hazel coppice with a range of standards dotted throughout but mainly around the edges of the woodland area. It was lovely to see the oaks starting to come into leaf. 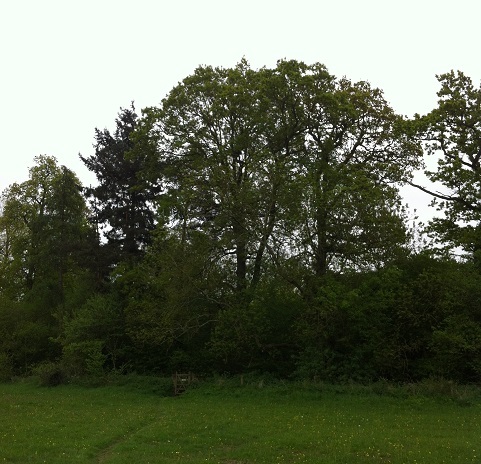 In folklaw the saying goes “If the oak before the ash, then we’ll only have a splash, if the ash before the oak, then we’ll surely have a soak.” This year however, the ash and oak have both held on for a long time before bursting into leaf and when they have they have appeared around the same time. I will leave you to draw your own conclusions as to what this could herald for the coming summer! After a slow start the oak standards around the woodland are now starting to come into leaf. 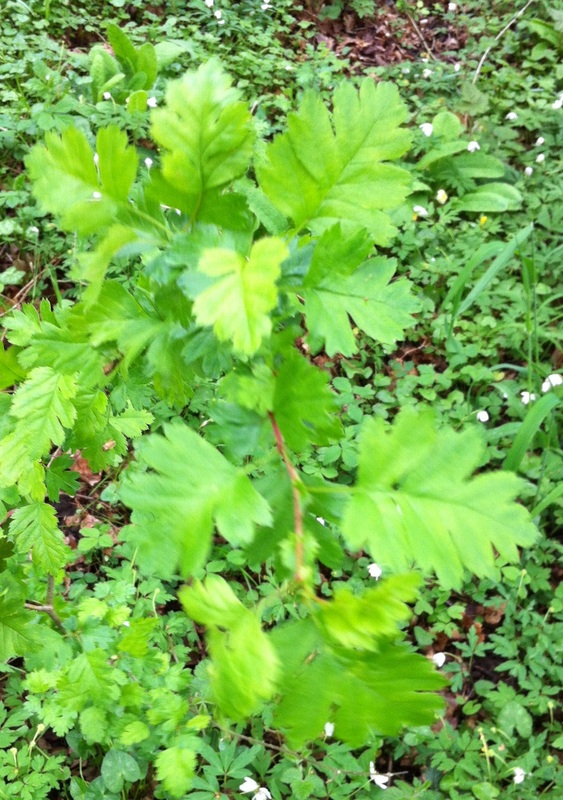 The oak tree has a wide range of qualities suitable for healing purposes. If ground into fine powder, oak bark can be taken like snuff to stop nosebleeds. It can also be sprinkled onto sheets to alleviate the discomfort of bedsores. 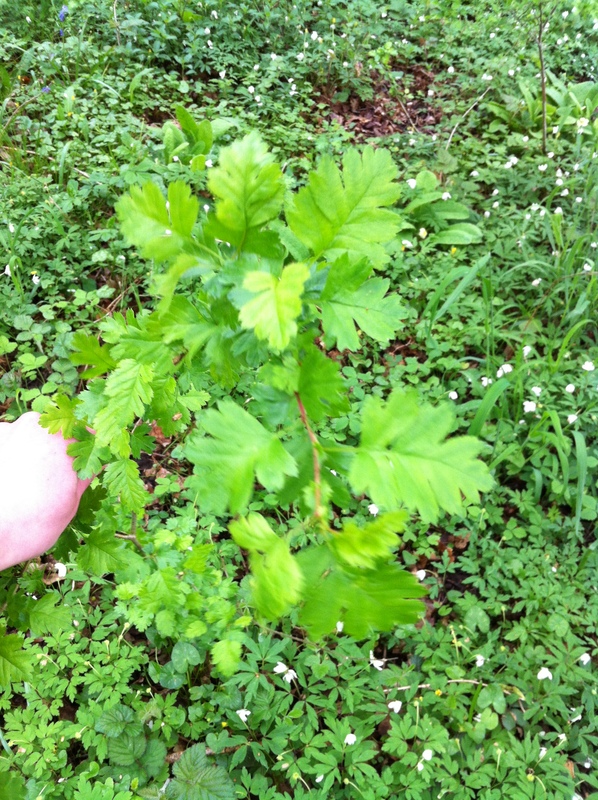 Young oak leaf-buds were prepared in distilled water and taken inwardly to assuage inflammations and bruised oak leaves are used outwardly, being applied to wounds and hemorrhoids to ease inflammations. Another plant with a great range of uses including medicinal is the common nettle (Urtica dioica). Seen emerging and starting to take hold in previous weeks, the banks of the stream bordering the woodland are now overrun with thick, impenetrable stinging nettles which are now out-competing most other flora in the area. 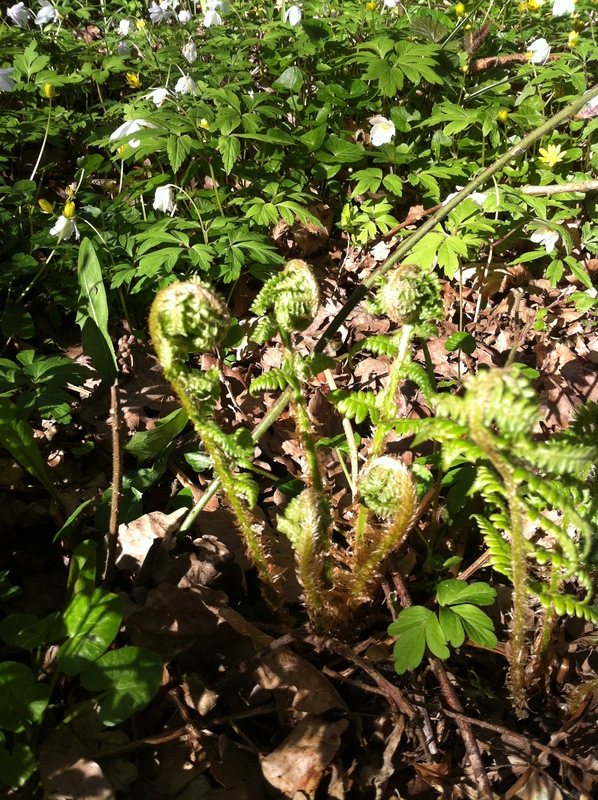 Around the woodland floor, the male ferns which were seen emerging with curled fronds in previous weeks are now fully unfurled and growing quickly. 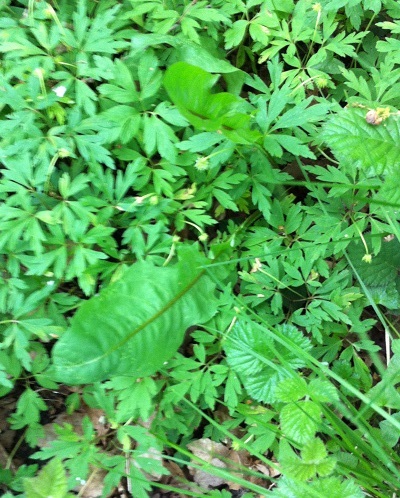 Among the many weed species taking hold all over the woodland floor are the dandelions. Much less prevalent than in the surrounding open meadows and field, but nonetheless still present. The word Dandelion comes from the French name for the plant dents de lion meaning teeth of the lion and refers to the jagged edges of the leaf of the plant. The other French name for this plant is pis-en-lit, in English this means wet the bed. Dandelions deserve this name because their greens, when eaten, remove water from the body. So eating the greens could cause someone to well… you can guess the rest. Not recommend for a bedtime snack. The Dandelion provides an important food source to bees. The pollen from this plant helps bees out in the spring because it flowers early and the flowers continue through to the fall providing constant food. In fact no less then 93 different kinds of insects use Dandelion pollen as food. The Dandelion seeds are also important food to many small birds. Welcome to Woodland Watch week 8. 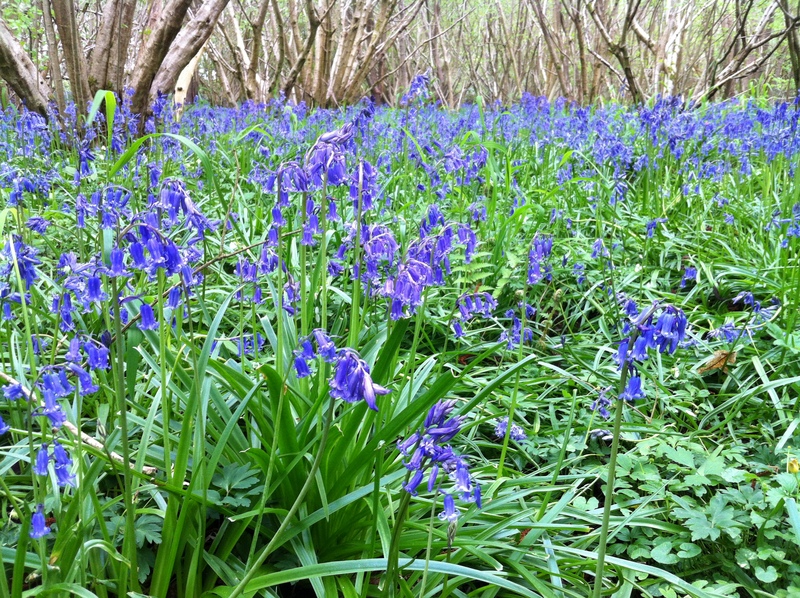 The first thing I noticed on this walk through the woods is the bluebells. The first bluebells emerged several weeks ago now, but today the woodland floor is absolutely carpeted in them and I couldn’t resist taking a photograph of this beautiful, blue, floral carpet. Above ground level, other shrub and tree species are also coming into full leaf. This young hawthorn has progressed from initial bud burst a few weeks ago into its full leaf state now. In a primitive form of biological warfare, Hawthorn spines can infect animals with pathogenic bacteria – the same bacteria as that which causes gas gangrene. 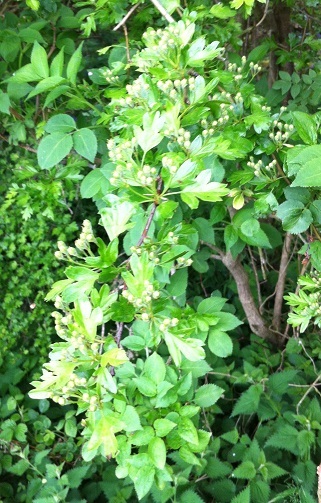 Britain’s hedgerows contain hawthorn for many reasons, including sustenance and protection. Hawthorn was also purposefully adapted into a hedging plant when the peasants were thrown off their inherited land by landowners following the general enclosures act of 1845. Thus the ‘peasants’ tree’ was turned into an instrument of division and derision by political and money minded barons, a barrier hedgerow to keep people off the land. 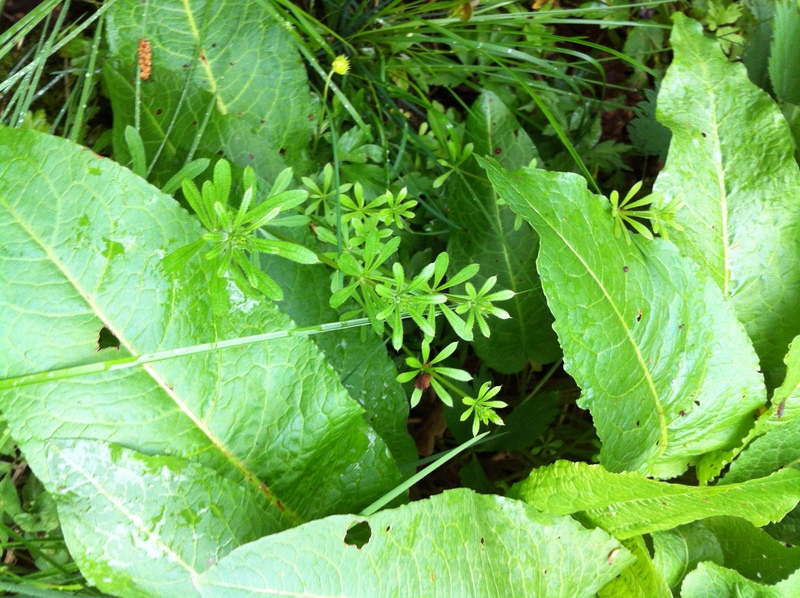 Another weed emerging all over the woodland floor is sticky weed (Galium aparine), otherwise known as cleavers or the velcro plant among other common names. Most people who have been out in their gardens have come across this annual weed whose seeds germinate in the cool, wet weather of late winter and then grow rapidly into swirly, sticky stems of green that stick themselves to skin, clothing, pets and anything else they come into contact with.the plant is sometimes called bed straw because one of its sweeter smelling cousins (G. verum) was used to stuff mattresses in medieval times. Join us next week for another walk in the woodland. It has been such a late year for all of the plants coming out of their dormant winter stage, but the growth is definitely well under way now. 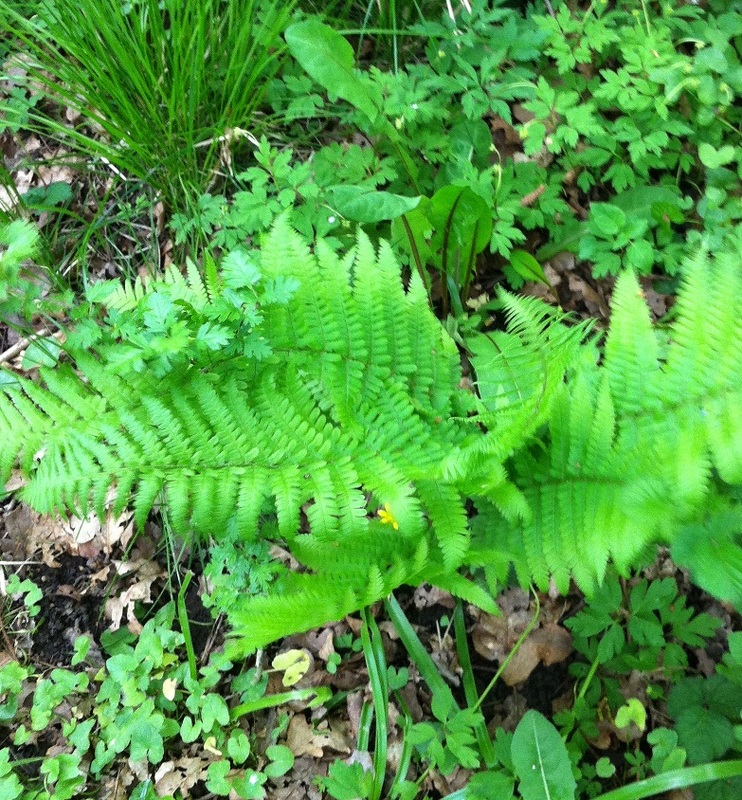 One of the new plants observed emerging from the woodland floor this week is the male fern (Dryopteris fillis-mas). Native to much of europe, asia and North America, it favours damn, shaded areas in the understorey of woodlands. The leaves of the male fern grow to a maximum length of 150cm and are bipinnate made up of around 20-35 pinnae (individual leaves) on each side of the central rachis (main axis). The stalks of the fern are covered in orange-brown scales.Between August and November the membranous outgrowth on the under surface of the fern leaves, which protects the developing spores, starts to shrivel and the spores are released. 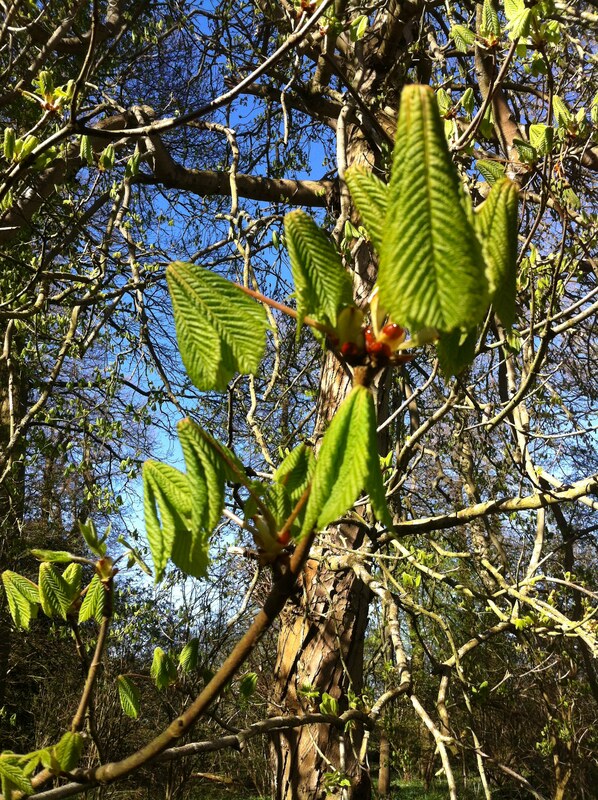 Of the large trees in the woodland, the horse chestnut (Aesculus hippocastanum) is also starting to come into leaf. The horse chestnut has large, red-brown sticky buds which start to emerge around April time, however this year they are late emerging due to the cold weather. The sticky sap on horse chestnut buds protects them from frost damage and insects. Horse chestnuts are currently suffering from the leaf miner moth (Cameraria ohridella) which was originally found on horse chestnut trees in London. The larvae burrows within the leaf tissue, heavily infesting the leaves resulting in browning and drying and over time, leaf death. First observed in macedonia in 1985, the horse chestnut leaf miner moth has spread through central and eastern europe, first making an appearance in Great Britain in 2002. We will keep an eye on the horse chestnut trees in the woodland over the coming months. 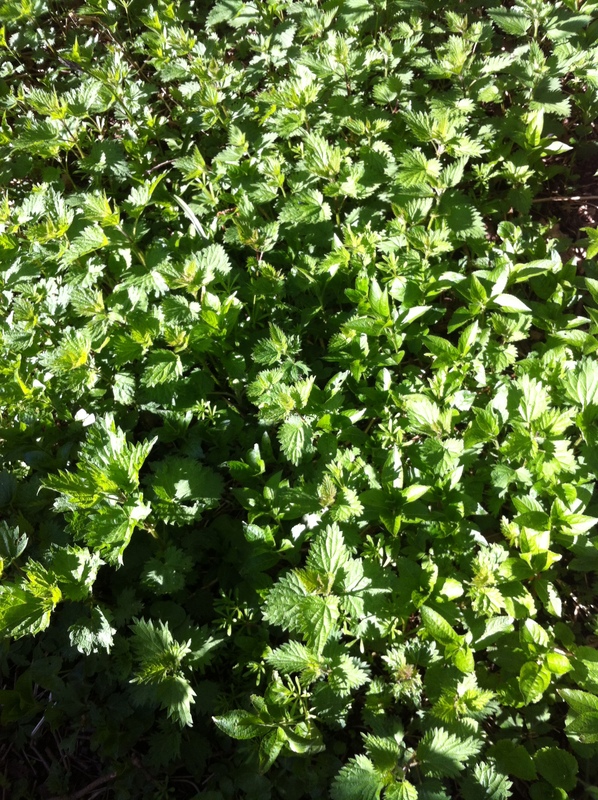 As the season progresses and the weather starts to warm up the nettles on the woodland floor are really starting to take hold. 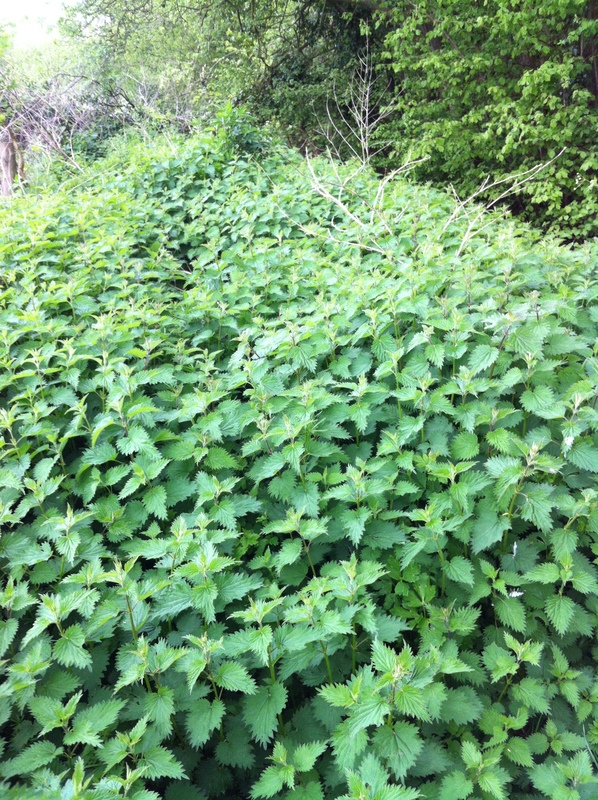 Stinging nettles (Urtica dioica) can grow to 1-2m tall in the summer, dying back to the ground in winter. They spread rhizomes and stolons which are bright red like the plants roots and help the plant to take hold over large areas. The underside of the leaves and the stem are covered in stinging hairs whose tips come off when touched and act as a needle, injecting chemicals into the skin. These chemicals include acetylcholine, histamine, 5-HT (serotonin), moroidin, leukotrienes and possibly formic acid. The chemical mixture causes a painful stong from which the species derives its common name. Join us next week for another installment of Woodland Watch.